Some companies want to be edgy to differentiate themselves in the marketplace. A company like Burger King is in a tough spot. They are a company which sells food that is vastly inferior to everything else on the market. So they may use an out of work rapper and booty to sell a kids meal or market a cologne that smells like a burger. Those are all god awful ideas but BK and whoever does their ads have decided to push the envelope even lower. Take a terrible flame broiled patty, add a dash of salsa, flavour with an offensive stereotype and you get the brand new Burger King Texican Whopper. The new Texican version of the whopper combines the burger that stoners love at 3 am topped with delicious “taco coated” chilli con carne, jalapeňos, onion, lettuce and Cajun mayonnaise. 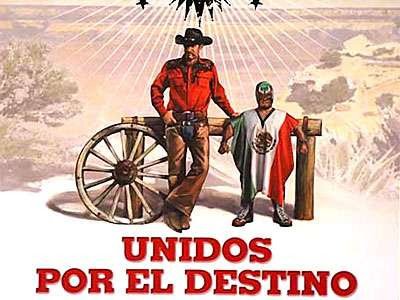 The campaign to sell the burger combines a tall goofy Texan cowboy with a tiny Mexican dressed in a lucha libre costume. In the commercial the Texan and Mexican are shown goofing aroung and helping each other out in a variety of ways. In real life the only thing a cowboy would help a Mexican to do is cross the border back into Mexico…with force. Obviously BK hope the ad is seen as an ironic takeoff on the bromance movement. Not only can Mexicans and Texans get along, this “surprising combination” can be tasty. Apparently not only are all Mexicans short, but it is surprising when they can be friends with a Texan. The worst part of this ad is that it isn’t funny. How can you dress up a midget in a lucha libre costume and not elicit one single laugh? The Taco Bell Chihuahua is spinning in his grave. Ay ya yi it is Mucho Offensivo. The ad has enraged Mexican authorities. While the ad is stupid Mexico should be focusing on a drug war and should let consumers make the decision on not eating this crap. Doesn't he look just a little like Chuck Norris? When the Boogeyman goes to sleep every night, he checks his closet for Chuck Norris.